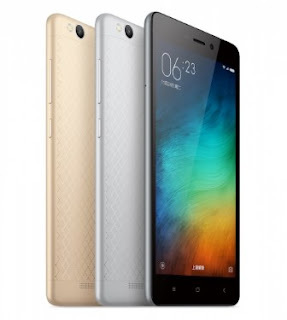 Download All Stable ROM Collection for Xiaomi Redmi 3 (China) MIUI Download – This post is special for all Xiaomi Redmi 3 users if they need all stable ROM collection or just want to collect these ROM if one day they need them. We quoted from some sources and we hope these ROM could be useful for those who are looking for. In this post we just provide them without any giving the tutorial to install or flash ROM, we may could give the installation or flash tutorial in different articles. Even though these ROMs are MIUI China stable ROM, it doesn’t mean these ROMs the only for region China only. These files are special for anyone from different country though they do not live in China. ROM with format TGZ file for flashing by using Mi Flash. That’s all everything we can present in this post, you can report by leaving comment if you find error link or deleted file. We will work to update and find new file as long as you report the problem. Feel free to ask us anything about these files. Source: Xiaomi redmi 3 - KasKus Indonesia. Belum ada tanggapan untuk "Download All Stable ROM Collection for Xiaomi Redmi 3 (China) – MIUI Download"